Rupp: "We thought a little about it (the move at 550m) going in. I was trying to get a little bit of a jump on him, but he's really good at the end. And that's something that I need to continue to work on." 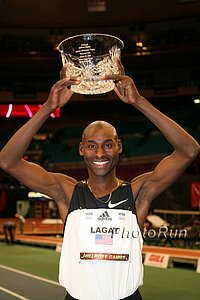 Lagat: "I didn't have a lot of strategies. I wanted to sit back and watch the race and feel the race. I wanted to stay near the front position so I wouldn't get boxed in. If Galen or somebody else wants to go. I was waiting to go fast." - Galen Rupp and Bernard Lagat talking about their pre-race strategies for the US Indoor Champs 3k, which Lagat won, putting 2 seconds on Rupp in the last 200m. 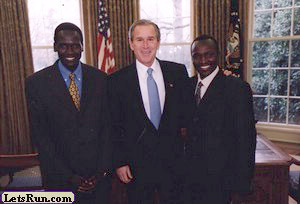 Rupp planned to make a move and Lagat's plan was to go with him. *David Oliver Is Out A left calf injury caused him to take a week off and he is playing it safe by not competing. *USATF Men's Field Events Preview: Adam Nelson, Jesse Williams and Brad Walker highlight. *USATF Women's Field Events Preview: Jenn Suhr and Brianna Reese highlight. 10k Road World Record Holder Leonard Komon To Defy Athletics Kenya And Race In World's Best 10k (Vivan Cheruiyot And Linet Masai Pull Out) This is huge news because Athletics Kenya has said Komon can't run World XC if he runs the World's Best 10k. If the athletes would stick together, they would see they have the power. 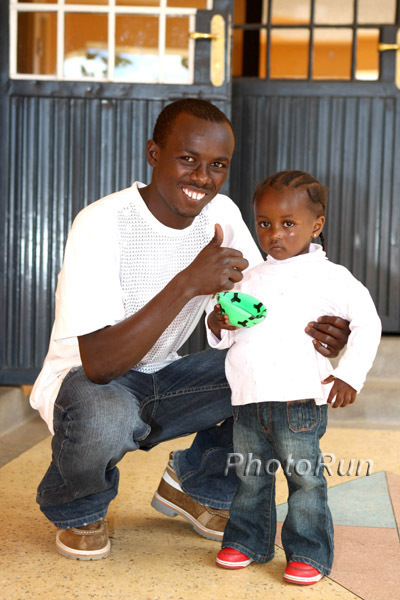 Imagine if World Champs Cheruiyot and Masai didn't pull out and then announced they wouldn't be going to the Athletics Kenya training camp either? 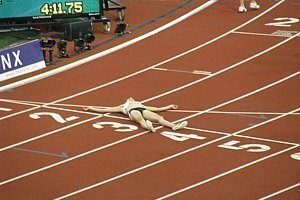 The athletes should be able to decide what is best for them. World's Best 10k Lives Up To It's Name: WR Holder Leonard Komon, LRC Fan Favorite Sammy Kitwara, Moses Masai And World XC Champ Ebuya All Racing This race gets more stars than any other non-road race in America because of its money and spot on the calendar. Day 1: Andy Bayer won the 3k and qualified for the mile final. SEC: Results 45.37 for Kirani James in the 400 on Day 1 of 2. Strong Day 1 for Princeton men and women. *LRC MB: Haile G out of Tokyo!! 2012 UK Trials Almost Certainly Won't Be Held In Olympic Stadium Apparently, organizers think it's more important to focus on preparing for the opening ceremony and most athletes and commentators think it's a good idea for the athletes to save the stadium for the Olympics. Michael Johnson might beg to differ. 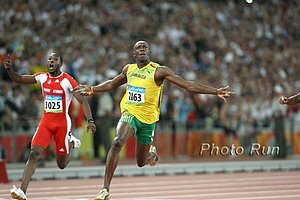 5000m Specialists: What Is The Fastest You Need To Do In Training? Is it possible to be in base phase too long?